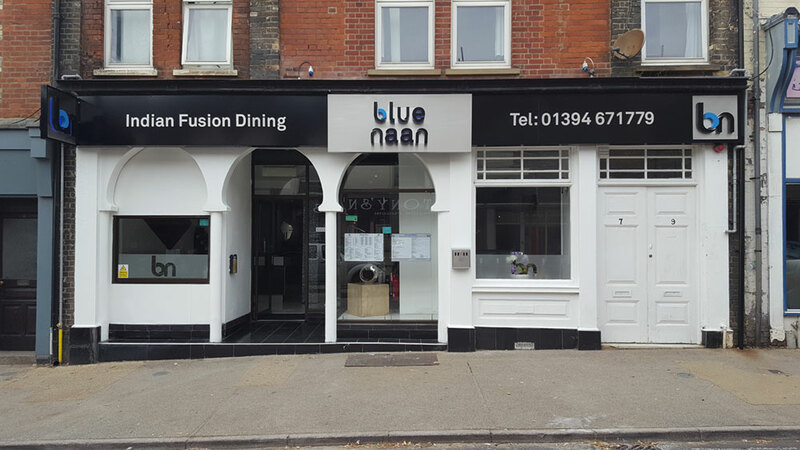 Welcome to the Blue Naan Indian Restaurant where we are delighted to offer you an Indian Fusion Dining experience. 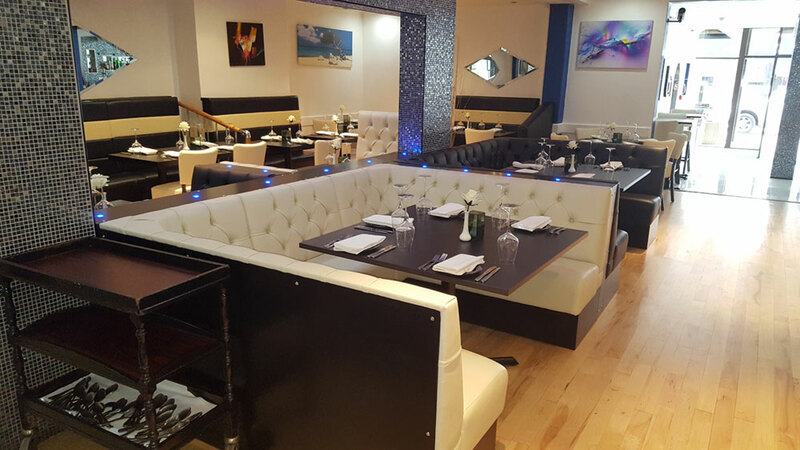 Our Dining Menu offers Traditional Indian Favourites, Speciality Dishes and our Blue Fusion Section combines authentic Indian Cuisine with an Oriental influence. Using fragrant ingredients such as lemongrass and lime leaves infused with indian spices we are able to offer unique fusion dining. Recently refurbished, this modern town centre restaurant offers private boothed seating for those wanting a more intimate experience alongside spacious open seating in elegant surroundings. Large parties up to 24 people can be also catered for in our private VIP area, perfect for any celebration. Johnny and his staff truly hope that all guests enjoy their dining experience and are able to relax in the newly renovated restaurant with its fresh, contemporary stylish design. The Blue Naan is back under the management and ownership of Johnny after 5 years away. 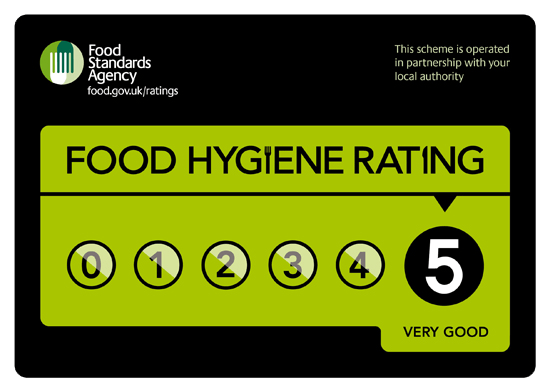 It’s been refurbished with lovely booths added but still maintains a light and airy feel. The food was outstanding and the new Menu has something for everybody; we really were torn between our old favourites and trying something very different from the new Fusion dishes. 5 mins walk from the Spa Pavilion I chose this as the whole family loves a curry. Excellent service, personal touch, Johnny made us feel like we were regulars. Amazing menu and food was gorgeous.